It’s not easy being shy—especially when you suddenly find yourself at the center of a widening circle of lovesick boys. But this is exactly the predicament Juliet Dove winds up in after she receives a strange amulet in Mr. Elives’ magic shop. 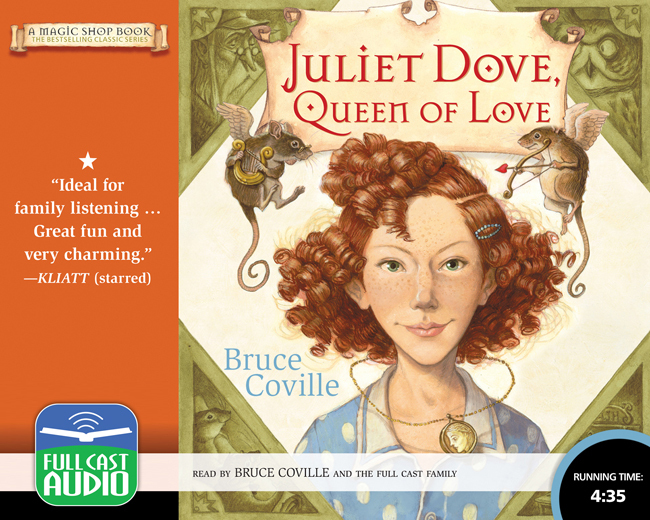 As if all that love weren’t bad enough, soon Juliet is talking to ancient Greek gods. And when a pair of wisecracking rats arrive to help her unravel the puzzle of the amulet, Juliet knows that her life has really spun out of control.